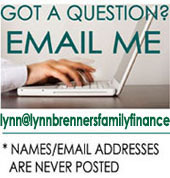 Lynn Brenner's Family Finance: Are Mom's Assisted Living Expenses Tax Deductible? Are Mom's Assisted Living Expenses Tax Deductible? If your mother's 2011 income (not including her Social Security benefit) is under $3,700, another taxpayer who pays more than half of her total living expenses can claim her as a dependent and take an itemized deduction for her medical expenses. You’re splitting those expenses among the three of you; so no one is paying more than 50% of her support. But each of you is paying more than 10%. If you file a Multiple Support Declaration with the Internal Revenue Service, you can take turns claiming her as a dependent. And bear in mind that medical expenses are deductible only to the extent that they are a) unreimbursed; and b) exceed 7.5% of your income. For example, let’s say it’s Joe’s turn to claim Mom as a dependent this year, and he writes a $5,400 monthly check to the nursing home. If his two sisters reimburse him for their respective $1,800 shares, Joe can only claim a medical deduction for his own $1,800 share. And he can’t actually take the deduction unless his total unreimbursed medical expenses exceed 7.5% of his income. For more information about potential tax breaks for adult children who are giving financial help to their parents, see my Reuters article, 'Caring for Mom and Dad Can Activate Tax Breaks'.